Catchy and anthemic, Hozier has done it again. Following the international success of his self-titled debut album, Hozier had a lot to prove with his long-awaited follow-up. So far, his Nina Cried Power EP and subsequent single ‘Movement‘ have cemented the idea that not only is he back, but he is better than ever; ‘Almost (Sweet Music)’ is no exception. 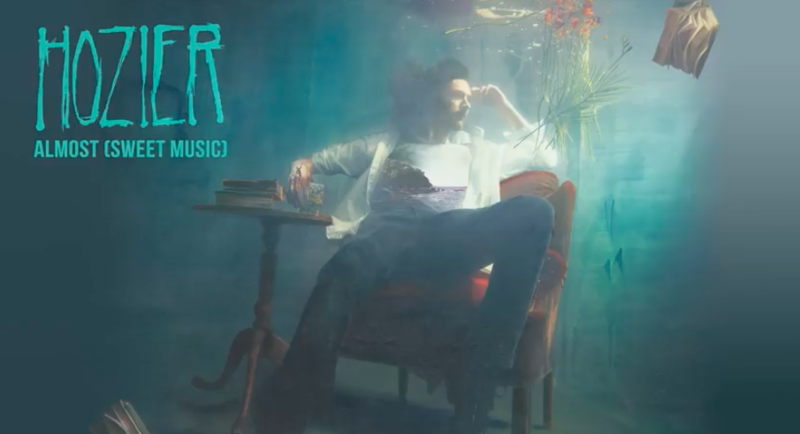 This catchy new single is full of the poetic imagery that Hozier is known and loved for. Like in ‘Nina Cried Power’, he incorporates the names and lyrics of the artists that have inspired him, tweeting that this is a song “about what music brings to memory and what memory brings to music.” The song is deeply personal because of this, and there is something relatable about how music can bring “some colour back” into life and wanting to thank those who inspired the songs we love. It is much more upbeat than much of his discography, perhaps reminiscent of ‘From Eden‘ or ‘Jackie and Wilson’ from his first album, full of memorable guitar riffs and almost gospel harmonies: it’s easy to imagine this being one of the highlights of his set-list when he tours later this year. It showcases his amazing vocal talents as well as his skills as a songwriter and composer. At this rate, ‘Almost (Sweet Music)’ will almost definitely be appearing near the top of my ‘Top 100 of 2019’ playlist on Spotify, and it’s only January – it will be very exciting to see how the rest of his sophomore album, Wasteland, Baby!, will compare following its release in March – although judging by the quality of his releases so far, I don’t think it will disappoint. ‘Almost (Sweet Music)’ is available now via Universal Music. Wasteland, Baby! will be released on 1st March 2019.